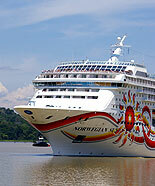 The Third Set of Locks Project is a mega project that will expand the Panama Canal. The expansion will be greater than at any time since the canal's construction. 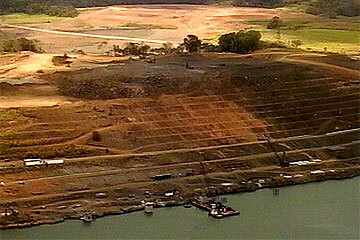 The Panama Canal Authority proposed the project after years of study. Panamanian President Martín Torrijos presented the plan on April 24, 2006 and Panamanian citizens approved it in a national referendum by 76.8% of votes on October 22, 2006. The project will double the canal's capacity and allow more traffic. You can find much more Information about the Panama Canal Expansion Project right here on the Official Panama Canal Website Pancanal.com. 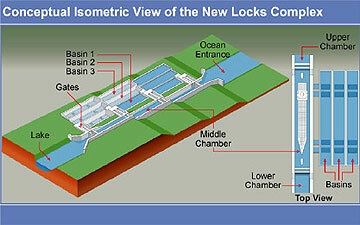 See also this graphic on the new Panama Canal Locks.